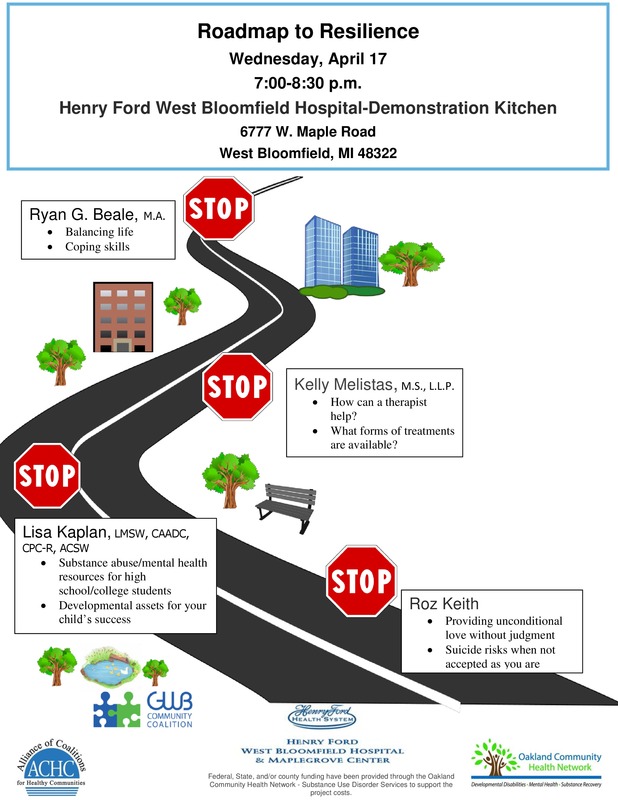 The mission of the Greater West Bloomfield Community Coalition is to build community partnerships to reduce high risk behaviors including alcohol, tobacco and other drug use, to help ensure that our youth may grow to their greatest potential. Sign up for our email list to learn more about upcoming events! Special thanks to our generous sponsors, whose support makes our mission possible and impactful. Check out our generous sponsors who make our mission possible! 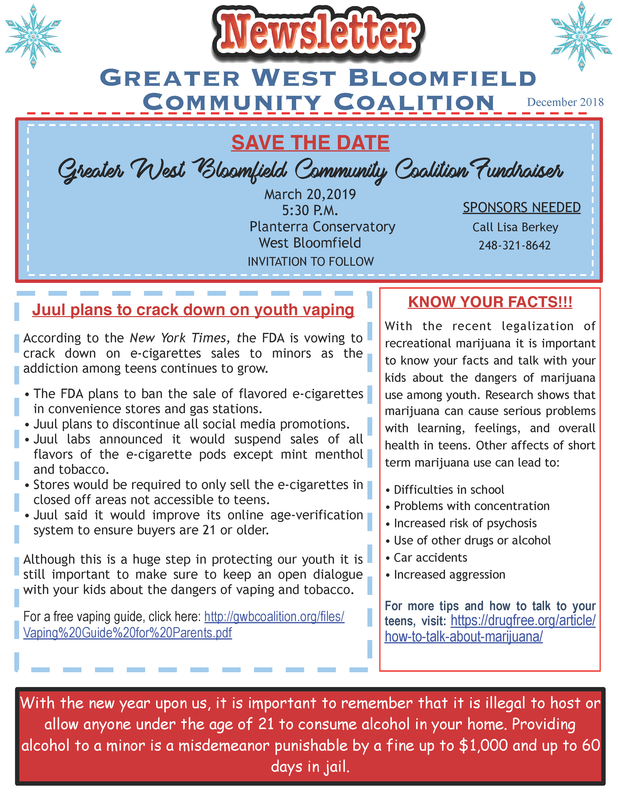 The non-profit organization Partnership for Drug Free Kids just recently published a free vaping guide for parents that contains important information regarding the risks and unknowns of vaping in kids. To learn more, visit their website here. According to experts, vaping is a problem that parents do not get schooled on, which often leads to the wrong perceptions. The Detroit Free Press recently published a free article covering the 5 most important things parents should know about vaping. Read the alarming CNN report here. Splash reporter Sheena Monnin attended a panel at Henry Ford West Bloomfield Hospital where both local and state leaders gathered together to discuss the side effects of using marijuana. Special thanks to A&M Service Center for providing the car! Federal, State, and/or County funding has been provided through Oakland Community Health Network Substance Use Disorder Services to support project costs.